On May 3rd 1969, Jimi Hendrix was arrested at Toronto International Airport as he arrived from New York after police seized 3 capsules of heroin (and an aluminum tube containing traces of hashish). He had to visit Toronto’s Old City Hall where he was released on $10,000 bail, in time to play with the Experience at Maple Leaf Gardens that night. 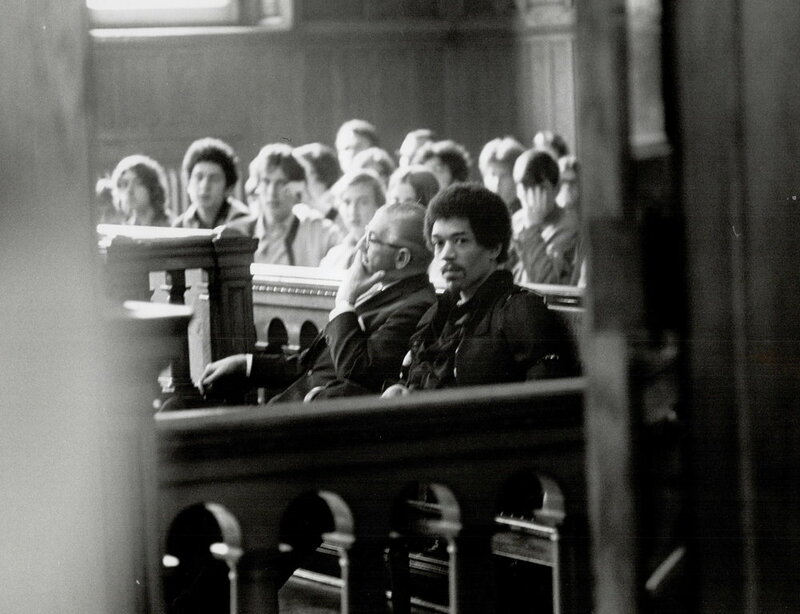 In December of that year, Hendrix returned for the court case - the jury deliberated for 8 1/2 hours before he was acquitted on December 10, 1969 - he was facing up to 7 years in prison. 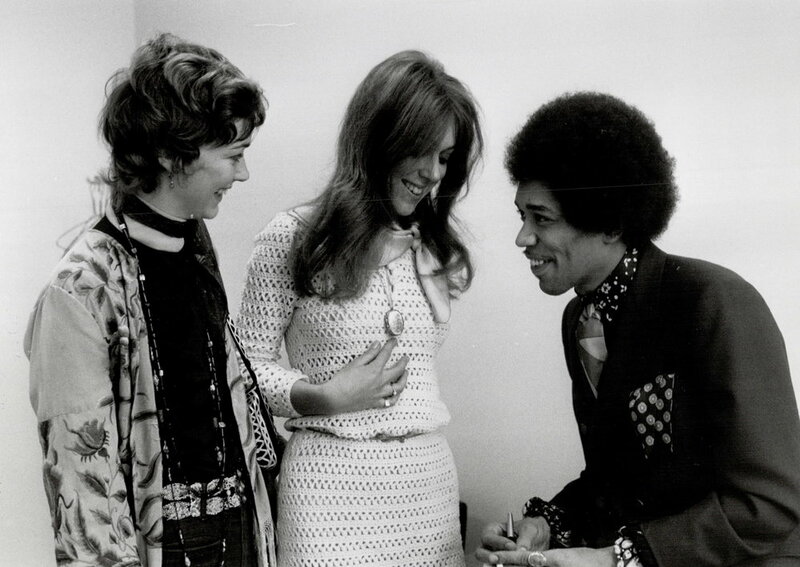 Hendrix testified that he often received presents from fans, including drugs like hashish and LSD - a reporter (Sharon Lawrence) corroborated the story that a fan had handed Hendrix the packets saying “Here, this will make you feel better”. 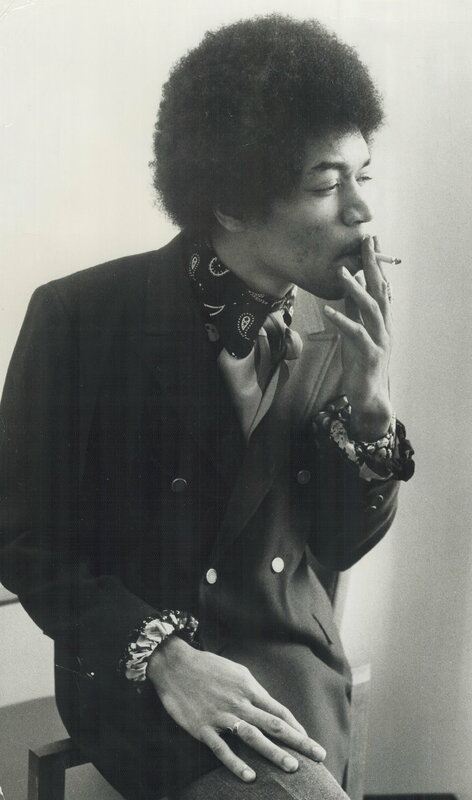 During the trial, Hendrix stated that he had “sniffed cocaine twice, used LSD five times and smoked hashish and marijuana, but has never used heroin“. He said he had outgrown the use of narcotics. "To each his own" he said. "But just don't blow it. Don't blow it." After being acquitted, he was quoted as saying “Canada has given me the best Christmas present I ever had“. The following pictures were taken from a photo shoot in Toronto, 1969.